While you are pregnant, you should always eat healthy food and avoid some food items that cause harm to you as well as to your baby. Your doctor lists the food that you can eat and the ones you should avoid. You should always keep the list in hand while dining out or while shopping. 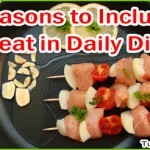 Some types of cheese, butter, custard and so on should be avoided whereas vegetables, fruits and meat should be eaten. 1. Folic acid is highly important for pregnant women. Lentils are quite effective food items which contain adequate amount of vitamin B. It is needless to say that vitamin B is a great source of folic acid. Folic acid is also termed as folate which is very beneficial for the formation of the baby’s brain. By consuming lentils during pregnancy, the severe birth disorder Spina Bifida can be prevented. 2. During pregnancy, baby and mother both need calcium. It is required for babies to form bones and mother needs calcium to build muscle and keep the nervous system in good order. Curd can provide sufficient calcium to a pregnant woman. Apart from calcium, it is also rich in folate and protein. Plus, active cultures such as good bacteria which are the key ingredients of curd prevent yeast infection which is found during pregnancy. 3. Due to the amazing presence of dozens of minerals and vitamins, oats are healthy food during pregnancy. Oats help to prevent constipation as it has complex carbs and soluble fibers. A variety of tasty food can be prepared with oats from salty to sweet ones. Many vegetables and fruits may be added to increase the taste. 4. You will be lucky if you become pregnant during summer. If your taste buds are bored by consuming bland foods without spice, mango can refresh your tongue. 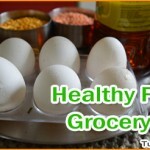 Due to vitamins A and C, it provides sufficient nutrients to the body. 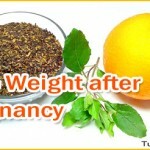 Both savory and sweet taste are popular among the pregnant women. Magnesium present in mango prevents pregnancy symptoms like leg cramps. 5. 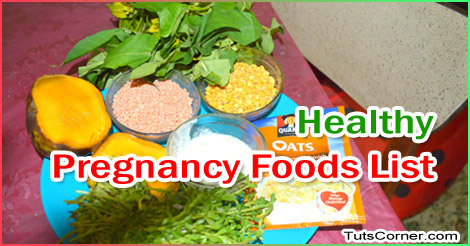 All kinds of green leafy vegetables are good during pregnancy. These are full of folate. Importance of folate or folic acid during pregnancy has already been discussed.